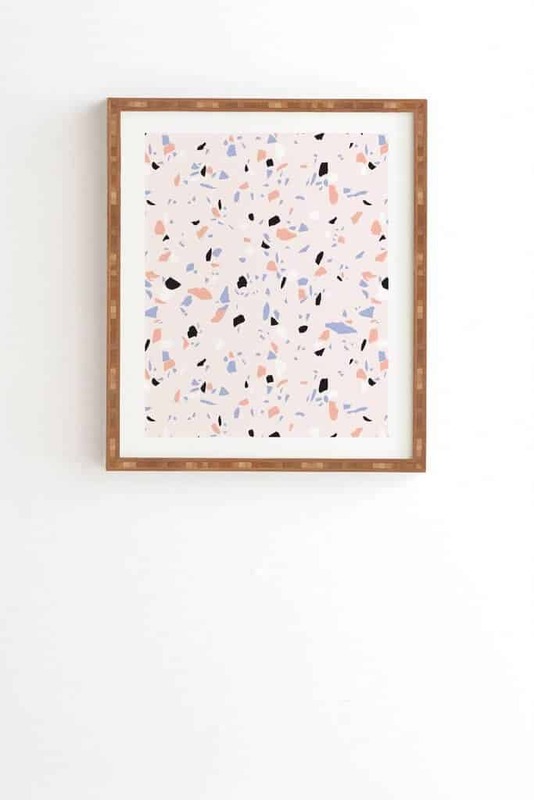 Did you know that acrylic decor is a “thing” now? 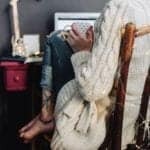 What was once thought of as a colder and ultra modern way to decorate has actually warmed the heart of many interior designers, and it’s not uncommon to find design pieces made of acrylic in all styles of decorating. 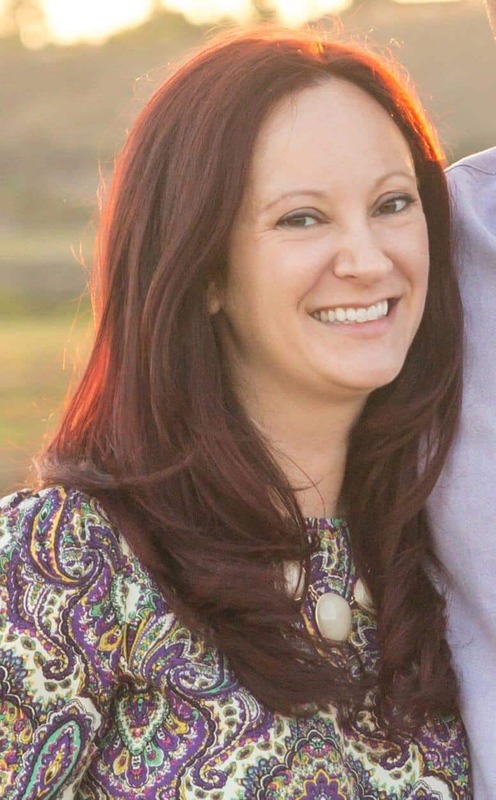 Whether you want to completely change your look, or just like the super clean looking and feeling nature of acrylic, there is a piece out there for you! 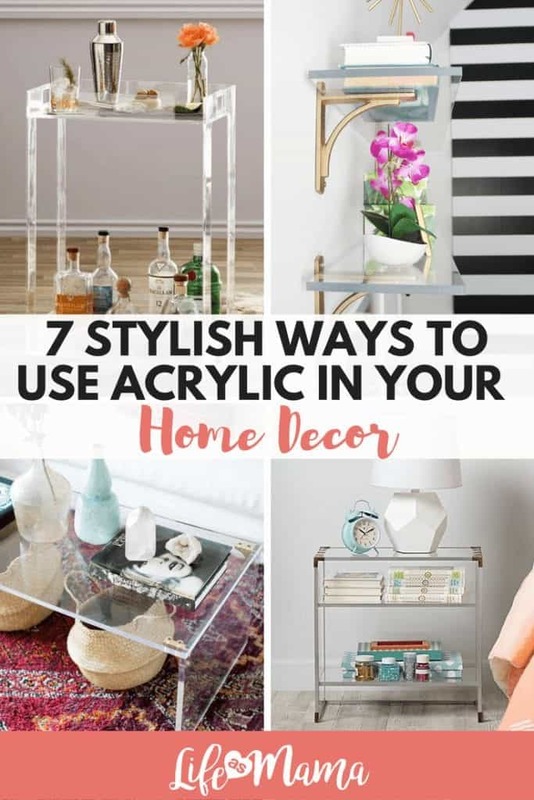 Check out 7 stylish ways to use acrylic in your home decor. 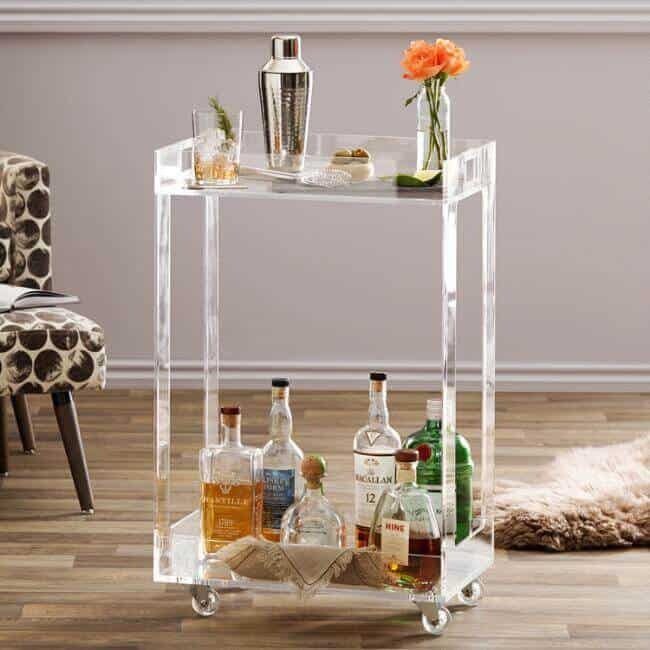 Entertain guests with style, while keeping the focus on family and friends and not a bulky bar cart if you have this acrylic, rolling version. You can easily showcase your liquor or wine selection and keep things looking crisp and cool. When you’re done, simply roll it away and let it blend into the background. Small bedroom? The acrylic nightstand is the way to go. 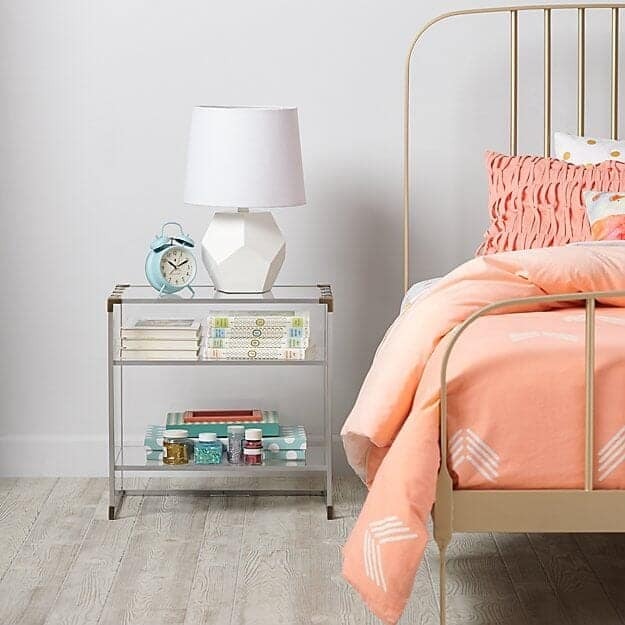 You’ll have plenty of space to store must haves, right next to your bed without overloading the space. This clear piece of furniture is also great for a gender neutral bedroom, or if you don’t really have a theme. Clear goes with everything! 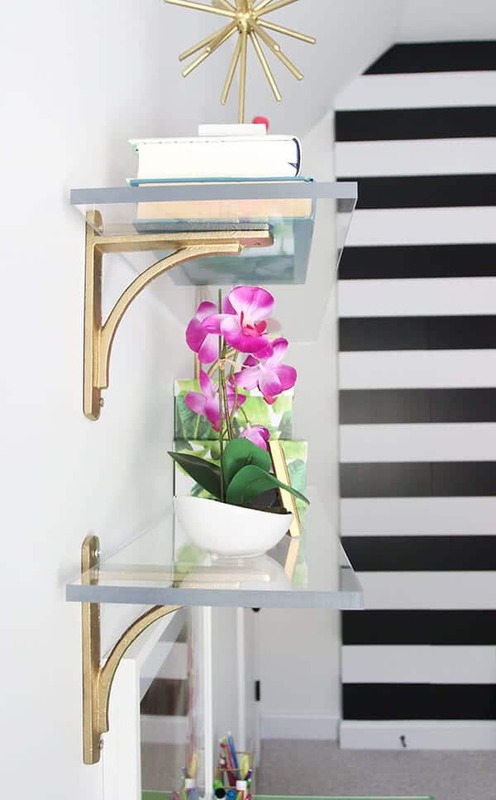 These classy modern shelves give any room more surface area and depth, without looking like they take up too much room because of the clear acrylic. Install over a desk or workstation for function, or in a living room to add accessories and style. Customize with your favorite brackets for a totally unique look! Snag all the details for these awesome looking shelves at LessThanPerfectLifeOfBliss.com. Acrylic Frames are a great way to dip your toe into the acrylic scene. 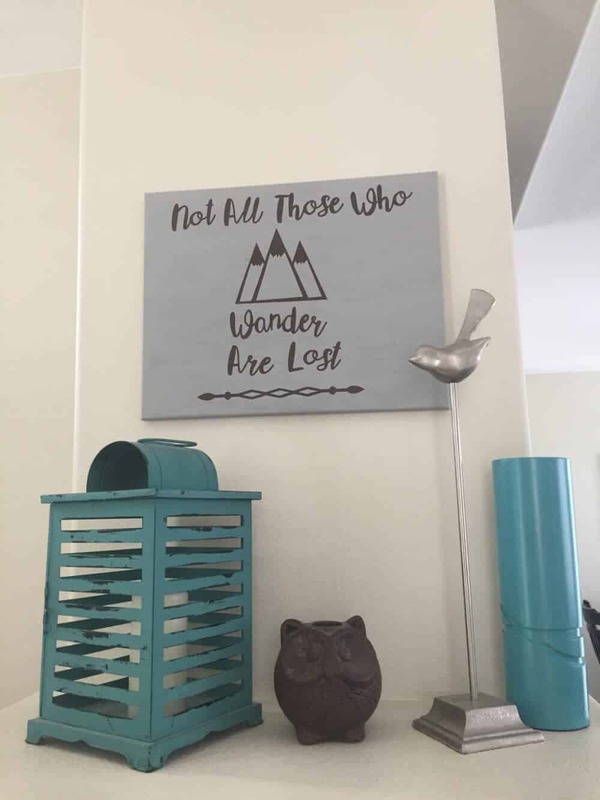 They can give your artwork a showcase feel, and are actually easier to customize and make on your own then you think! 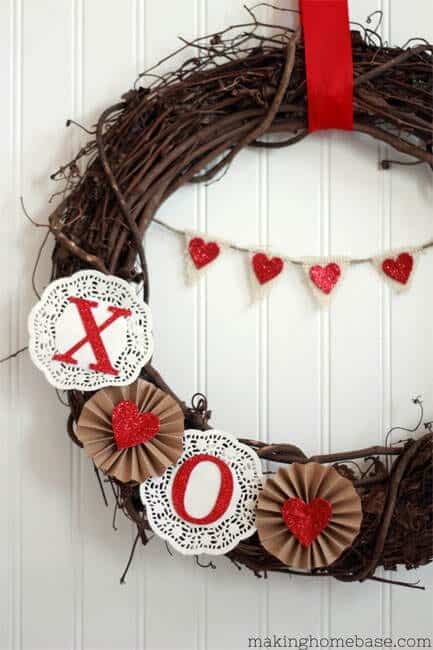 If you don’t believe us, check out the tutorial at AtCharlottesHouse.com! 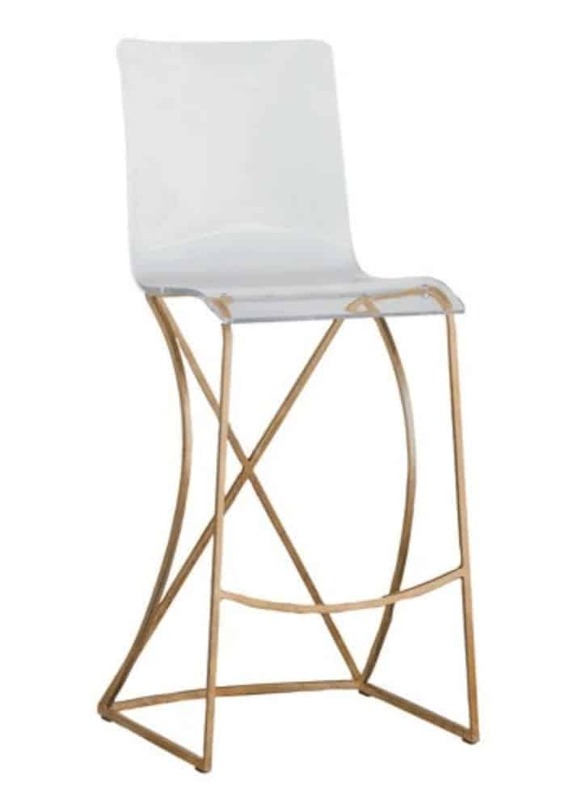 Get rid of bulky bar stools and try your hand at acrylic ones that are sleek and stylish. You don’t have to go with an entire acrylic model. 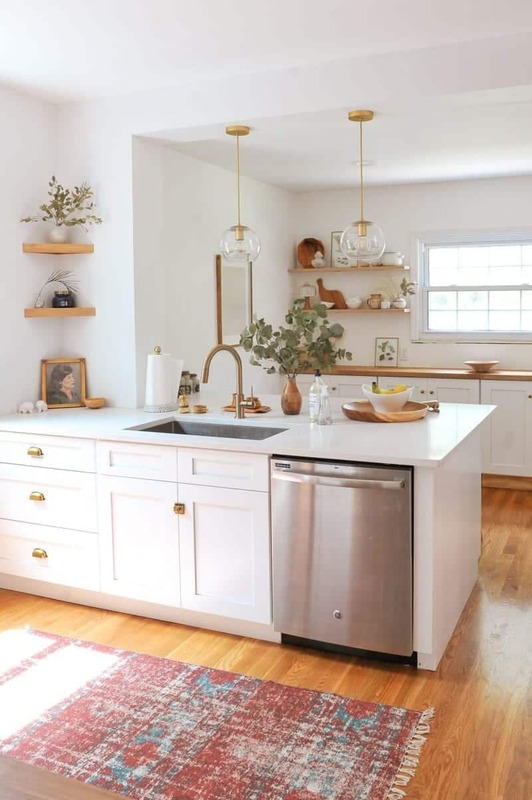 We love this style that combines the gold and acrylic for a warmer and designer feel. 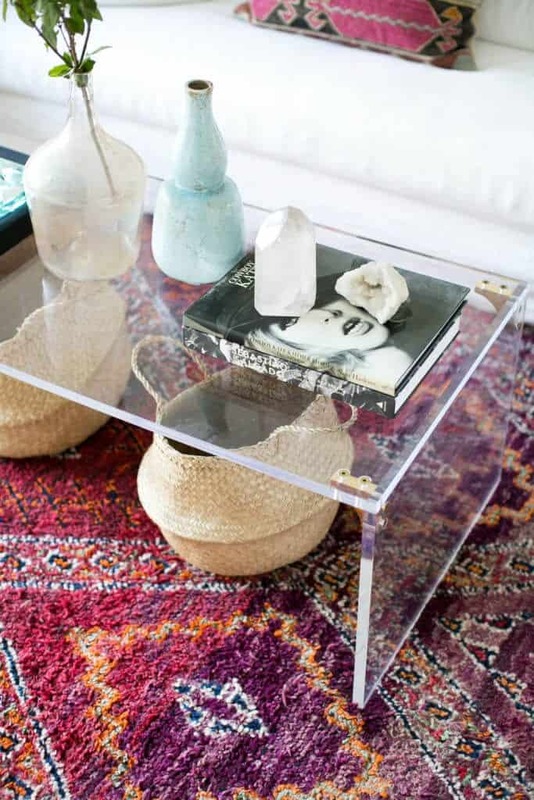 This coffee table is such an understated, yet beautiful addition to this vintage and modern living room. 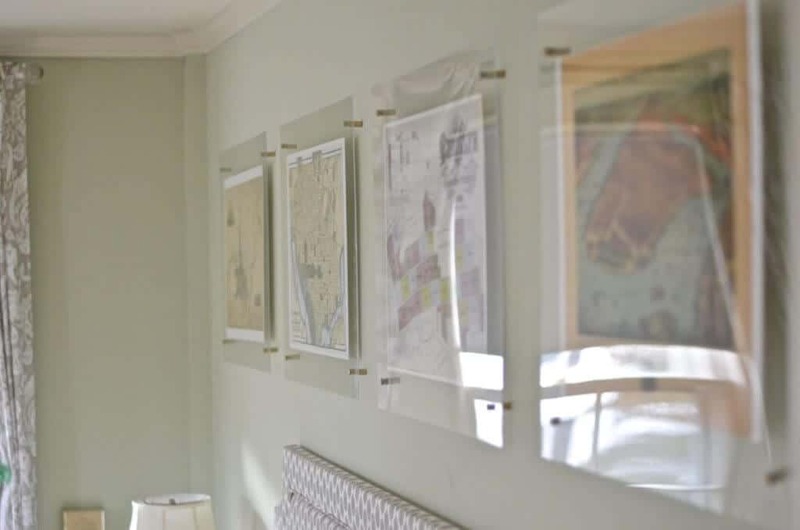 It gives the entire room an airy and free flowing feeling, yet provides the space we all need in our most used room of the house for magazines, decor, remote controls and the occasional TV dinner. Check out RueMag.com for some amazing photos of the rest of this design idea. 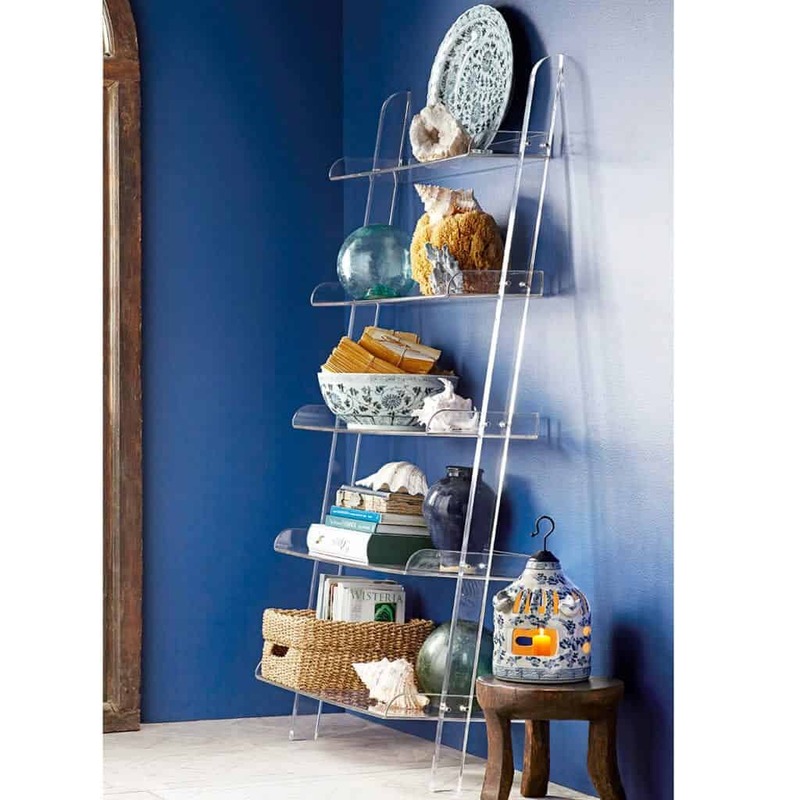 There’s nothing like a stunning bookshelf to add depth and texture to a room, and this acrylic leaning bookstand is no exception. The clear design keeps the room feeling clean and uncluttered, while still providing space for must-have books and other decor.